We live in a world where many do not consider the Word of God to be the authority (or even a general guideline) by which to live their lives. Even great numbers of believers do not give God’s Word first priority when dealing with the ordinary issues of daily living. The Bible is fast becoming at best an historical book or, at worst, a mythological one. 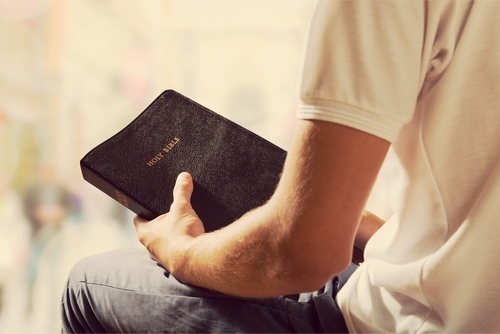 If God’s children don’t study and know the Word, how can they be effective in witnessing for Jesus or hope to live their lives in a way that makes others see Jesus in them? Discipline is not usually anyone’s favorite word, but it is a necessary one for anyone wishing to live as Christ directs His followers. We don’t have to hear the word discipline as if it means correction, but rather as it relates to developing the habit of spending time in God’s Word. It’s not necessary that we stick to a rigid schedule every day (although once we start spending time with God it usually becomes daily), but throughout the week we need to create a time just for “God and me” when we are in His Word. Once we start being filled with the Word we become thirsty for more and more time with Him. The Psalmist says that we hide the Word in our hearts so that we might not sin against God. How can that possibly be if we never spend time in His Word? In addition, we are supposed to use the word as a lamp unto our feet and a light unto our path; if we never read it, we are walking on a dark path unable to see where we are going. Believers desperately need the Word of God in order to live the abundant life Jesus meant for us. He said He would abide in us if we abide in Him. This means we must be in the Word as much as possible, meditating on it continually as we go about our daily routines. As believers, we are commissioned to disciple others, and that cannot happen if we don’t know what Jesus is telling us according to the Word of God. We have been given the Holy Spirit to (among other things) remind us what Jesus has taught and to teach us how to share that knowledge with others. It is the privilege of every believer to advance the gospel for the sake of the lost. We don’t have to have a seminary degree or be a Bible scholar to fulfill the calling God has on our lives. We may travel halfway around the world, or across the street—wherever God may send us. Our job is to be in the Word and remain open to receive all the knowledge that God wishes to impart on us.